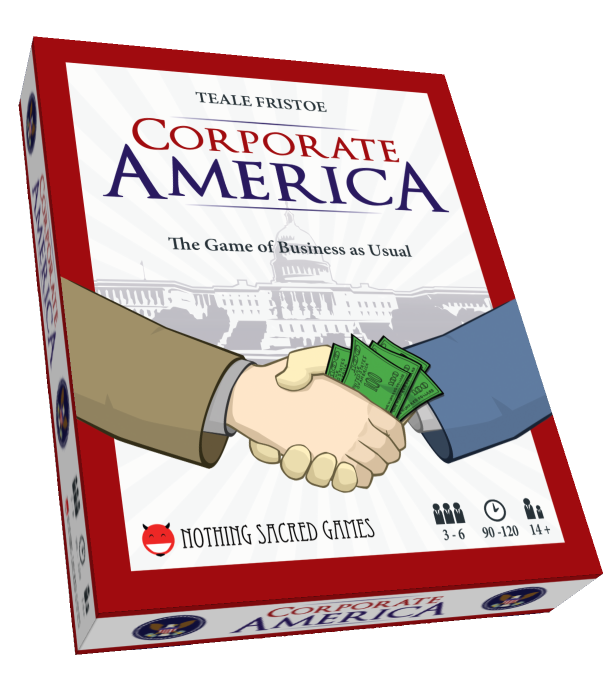 Between playtesting, promotion, and just hanging out with friends, I’ve seen and played Corporate America well over 200 times. Even after playing that many times, I’m happy to say still I enjoy the game. Corporate America really lets individual personalities shine, so each game feels like a new experience. Corporate America: awesome, if imperfect. But when you play a game that much, you see the full gamut of what the game has to offer, from the good to the bad. Couple that with the fact that you are (or should be) your own worst critic, and I’ve had a lot of time to think about how Corporate America could be improved. Today, I want to discuss what I would do different if I could do it over again. Now, before I spend a couple thousand words tearing apart my own game, I want to emphasize that I actually think Corporate America is awesome. It’s my proudest accomplishment. People around the world have discovered and enjoyed the game. Reviewers seem to like it, too. The game is unique, meaningful, and a ton of fun. So even though the tone of this post will be critical, keep in mind that the game is great and you should definitely get and play it. But even the greatest games can be improved, especially when they’re as experimental as Corporate America. So, if I could change five things about the game design, what would I do? Several reviewers have brought up that Corporate America takes too long, and they’re right. I’ve learned that in many situations, especially at game nights and conventions, the 90-120 minutes the game takes is just too long. Many people don’t want to commit to a game that long, and I can’t blame them. What would I do differently? I would simply suggest players play one fewer turn by default (3.5 turns for a 3 or 4 player game and 2.5 turns for a 5+ player game). I would then explicitly suggest players extend the length of the game for a full evening experience. The game works great as the headliner activity for an evening, but the long default play time discourages people from trying the game in the first place. It’s true that Executive Privilege and legislation cards that affect future elections and presidencies get less fun when there are fewer turns. But those sacrifices would have been worth it. So, why didn’t I think of this earlier? I actually did, but I didn’t take it far enough. When I initially conceived of the game, I imaged there would be even more elections every game, so everyone would get a chance to be president. But each turn proved to be much longer than I anticipated. (It turns out negotiation is time consuming.) So as I developed the game, I continued to reduce the number of turns, but I didn’t quite make it to the sweet spot. This is a great example of how the anchor effect can stifle game design. Instead of thinking about what the game needed and choosing a number of turns based on that, I took what I had done previously as the default and made slight modifications. When you’re making fundamental decisions, like game length, try to ignore the status quo and focus on what your game needs. For those unfamiliar with Corporate America, in the Wall Street phase, players build businesses. Originally, players would gain new businesses through a simple shared pool drafting system, which took too long. To solve this problem, I removed as much complexity from the phase as I could. In the final version of the game, players simply draw some cards, choose one business to start, and discard one card. That way, players cycle through the deck and have some control over what they play, but it goes quickly and all players act simultaneously. The problem? There are actually two. First, the instructions are a little loose. They say advanced players can start businesses simultaneously. But savvy players will quickly discover that they can get an advantage by watching what businesses other players start and adapting accordingly. This lack of precision can create gridlocks where no one wants to choose first. It would have been easy to correct by explicitly stating that all players choose simultaneously but keep their choices hidden until all other players have made their choices. But the rules don’t say that. The second problem is that without the original drafting mechanism, experienced gamers tend to feel like the starting business setup is too random. Business combos are fun, but you have little control over getting them when you just get a random hand at the beginning of the game. Players on Board Game Geek have started working on alternate drafting systems for starting businesses, and I really wish I would have explored some of these options while developing the game. My focus during development was speeding up this phase, which is good for first time players, but can leave repeat players disappointed. I really think that alternate rules could have satisfied both design goals, keeping the Wall Street phase fast while also allowing players to tailor their own businesses a little more. I’m a pretty liberal guy in general. That’s why I’ve been surprised to discover that I am conservative in one important way: when it comes to special rules, I tend to start them off very weak because I don’t want them messing with balance too much. Unfortunately, the media businesses in Corporate America suffered because of this tendency. The Liberal Media looks really cool, but is deceptively weak. I should have been more liberal with its special rules. All media businesses have the sponsored special ability, which lets them manipulate consumers for cheaper. During development, I was so worried that this ability would be overpowered that I never really gave media a chance, keeping their cost too high and income too low. Also, few businesses mix media with other industries, so media is fairly isolated. While I think the industries are pretty well balanced in general, I think media ended up the weakest. To make matters even worse, I never experimented with alternate special rules for sponsored. In my defense, it’s an exciting ability that playtesters always enjoyed. However, it is awkward because it is the only active ability (players choose when to use it, but can only use it once a turn), and I think there are alternative rules that would have kept the ability fun while removing some clunkiness. The fact that media businesses are exciting makes their weakness that much worse. Players are drawn to them but are then let down. This mistake has taught me that you should err on the side of too powerful when it comes to splashy special abilities. But before erring at all, you should dedicate a lot of effort towards balancing and experimenting. One of the biggest challenges of designing Corporate America was setting up the presidential elections. I experimented with a lot of legislation configurations over the many iterations the game went through, but in the end, I feel like I failed to make the Campaign Trail phase as smooth as it should be. In the Campaign Trail phase, players reveal six pieces of legislation which they debate. Ultimately, the player elected president will choose three of them to pass (with a couple of extra choices thrown in after the election). So the legislation is designed to help split players into parties, where different players want different legislation to pass, which helps determine who will run for president and who will support each candidate. 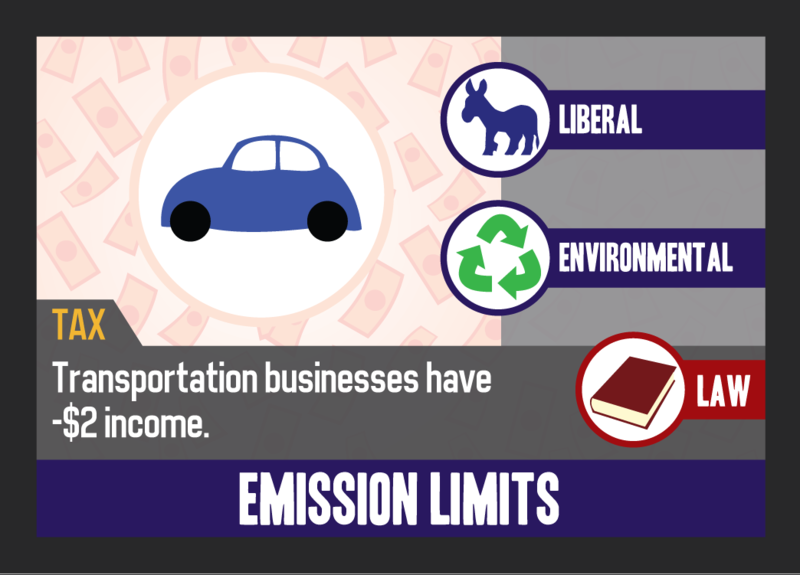 No one wants to be the guy who passes Emission Limits, even if it’s the right thing to do. Unfortunately, the game doesn’t always perform the way it should, as multiple reviewers have pointed out. Why not? Because there is often one platform that seems superior to all others, so the legislation does not naturally divide players into parties. Ultimately, this is because of loss aversion. There is a lot of negative legislation in the game, and most presidential candidates would never suggest passing negative legislation. Even if it will only hurt other players, most players will not propose it. This means that negative legislation tends to be a blank, greatly limiting the number of options presidential candidates have. So, why did I include so much negative legislation in the game? For thematic reasons, actually. Corporate America is designed to ridicule a specific ideology, one that believes the government can do nothing right and is always the villain. 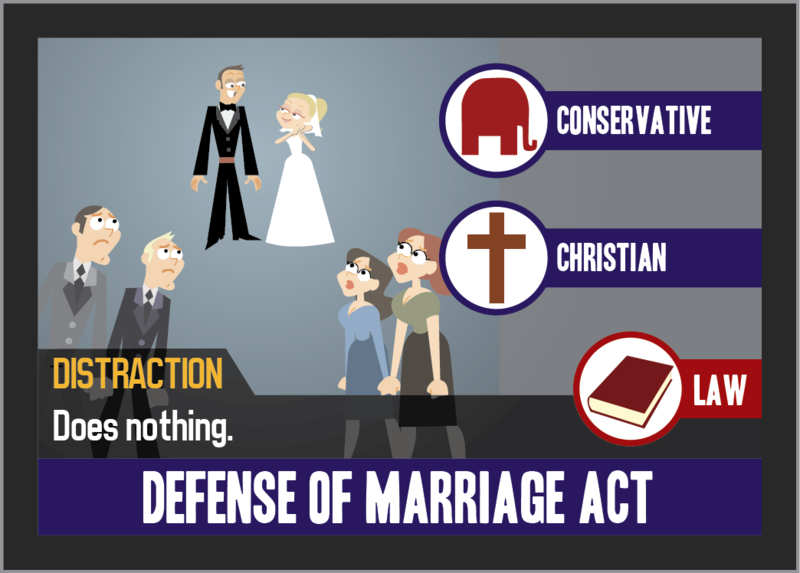 I wanted players to often prefer passing Filibuster or Defense of Marriage Act, both of which do nothing, to passing laws that will impact the game. Players usually prefer the government to do nothing over doing something. The funny thing is that I think I succeeded here! Players usually want the government to do as little as possible, playing the parts of tea party tycoons perfectly. And since there is often only one palatable platform, presidential candidates usually promise almost exactly the same thing, eerily mirroring actual elections in the United States. Unfortunately, humor and simulation accuracy do not make up for suboptimal gameplay. As a game designer, fun (or whatever emotion/experience you’re going for) must always be your top priority. Never let theme have a negative impact on how your game plays. If there is too much negative legislation in Corporate America, one piece of legislation takes the cake: Break Monopoly. 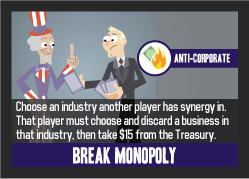 This card allows the president to single out another player, who must sell one of his or her businesses. If I could change one card in the game, this would be it. Break Monopoly: the game’s biggest buzz-kill. I worked pretty hard to minimize the nastiness in the game. There is a lot of backstabbing, but I tried to prevent players from being able to directly attack each other. I also tried to keep businesses protected. They form the foundation for how you’ll do in a game. They allow players to express themselves and be proud of what they’ve created. Businesses also determine which industries a player cares about, which keeps players invested in more events during the game, one of the game’s strongest points. There is another card in the game that destroys someone’s business, an Executive Privilege card, but it allows the owner of the destroyed business to start a new one to replace it, so it’s not nearly as bad. To make Break Monopoly even worse, because of protests, sometimes the president is forced to choose another player to lose a business, which is really not fun. Break Monopoly made it into the game because I thought having one or two nasty cards like it would be ok. It turns out, it’s not ok. Having so few cards like it makes the card stick out like a sore thumb, potentially souring an otherwise really fun experience. Theme also played a role in getting this card to print, but it’s not a good excuse. For one thing, theme should never detract from gameplay. For another, alternative forms of this theme easily could have worked and most likely would have played much better. Whenever you release anything publicly, especially on the internet, you’re going to get some hate. Tearing others down is almost as satisfying as creating something yourself, and it leaves you a lot less vulnerable, so it’s going to happen. Corporate America has received its fair share of this negativity. I’ve focused here on less than perfect aspects of the game, which might make you think I’m joining in. I’m not. I’m going over these issues to learn from them. Focusing on the worst parts of the game makes it seem like they ruin the experience, but that’s just because I’m ignoring the many, many good things about the game to try to learn from the bad. The game is great. That said, even talking about these problems seems to validate one criticism: that the game is under developed. I want to take a minute to say I completely disagree. Would more development time have fixed the problems described above? Probably. But there would then have been a list of five other worst problems with the game. No game is finished, it’s just due. The idea that more development time will lead to perfection is naive. Furthermore, more development time could easily have meant the game never would have seen the light of day. Time is always moving forward, interests change, responsibilities grow, and moments pass. 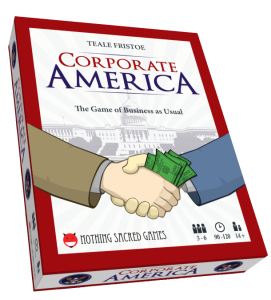 Corporate America is a unique, experimental game, and one of the reasons I decided to self publish is the challenge of finding an external publisher willing to take a risk on such an unusual and controversial game. Given that I was making it myself, the game needed to come out when it did. I couldn’t sit on it forever. So, while I acknowledge the game could have improved with more time, I believe the claims that the game is severely underdeveloped are mistaken. Even if it’s not perfect, the game plays very well, as many fans can attest. But even if we shouldn’t dismiss the game for being imperfect, we shouldn’t just accept it without taking a critical eye to its flaws and learning from them. Ok, that’s it. Corporate America is great! Enjoy it! Happy Birthday Nothing Sacred Games! Great post! I appreciate the in depth look at some of the finer mechanisms of the game. I agree that the game is too long (unless it is the feature game of the evening). Taking out one round is an easy solution to the problem. And after reading this post, I think I will also take out the election-centric laws like Bar the Revolving Door and Patriot Act to reduce the chances of pointless legislation cards. Or maybe just discard them if they get drawn in the last election. I think I’ll also take out Break Monopoly. The beauty of the legislation deck is that you never make it halfway through, so you can take out any legislation cards you don’t like and it only improves the game. I’ve also noticed that media seems to be the weakest industry. It’s close between media and energy. I’d say it’s mostly because media/energy businesses often only have one industry, so (A) it’s hard to get synergy bonuses, and (B) it’s hard to get other people to choose media/energy consumer cards because there are usually only one or two people that have it. But these are all minor things and most of them can be house ruled. The game is as or more developed than every other kickstarter game I’ve played. Keep up the good work! This is a wonderful analysis Teale, and it is even more valuable as you have elected to share it with us. From what I’ve observed in the current flurry of game design and kickstarter is that we are all too susceptible to only playtest before publication to learn, review and revise but immediately switch to the next design after publication. This can rob us of the debriefing process which can be just as important to develop as designers. I’m looking forward to your next project this summer (which I’m still playtesting – I haven’t forgotten). Teale, thank you for loaning me a copy of Corporate America this past weekend. My family and I really enjoyed playing Shadow Throne, too. 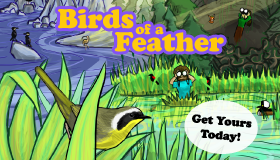 I have a couple of suggestions for modifying the game, if you republish it in the future. become too powerful, even if most presidents are fearful to use it. As there are other cards that are harmful to specific industries- I don’t think it sticks out especially. I guess it depends what group you’re playing with- my friends don’t mind playing offensively at all. from the election issues area, and choose one of the top two cards from the elections deck to replace it, discarding the other one. 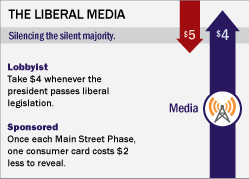 Media businesses with supposedly opposite legislative concerns, such as Faux News and The Liberal Media, will be paired together with the agenda-setting power. Of course, the media cards are already text-heavy; I’m not sure how you could fit this too on those cards (maybe as an optional rule). A Corporate America tie/a sew-on patch/medallion for the president, as you mentioned on the fundraising page, or those hats, which unfortunately don’t it into the box. A set of blank legislation/corporation/executive order cards. Players might come with some creative ideas! I plan on playing this game with my friends in politics. And I look forward to seeing your next titles!